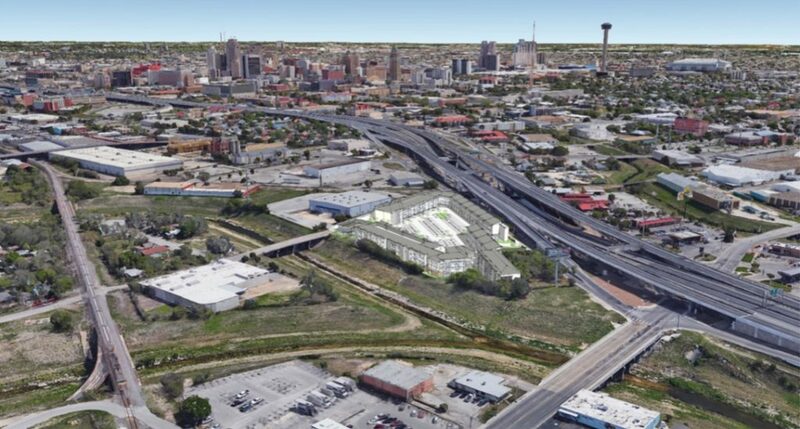 Tomorrow night, the San Antonio Housing Authority (SAHA) and 210 Development Group will host a public meeting to gather input on a $24 million, 200-unit mixed-income development being proposed for a 3.7-acre piece of land southwest of downtown along Alazan Creek. The meeting is scheduled for 6 p.m. Tuesday (Feb. 12) at El Progreso Hall, 1306 Guadalupe St. Some specifics on the Tampico Lofts, such as rent breakdown and construction timeline, were not available because it’s still early on in the planning process, said Tim Alcott, SAHA’s Real Estate and Legal Services Officer. 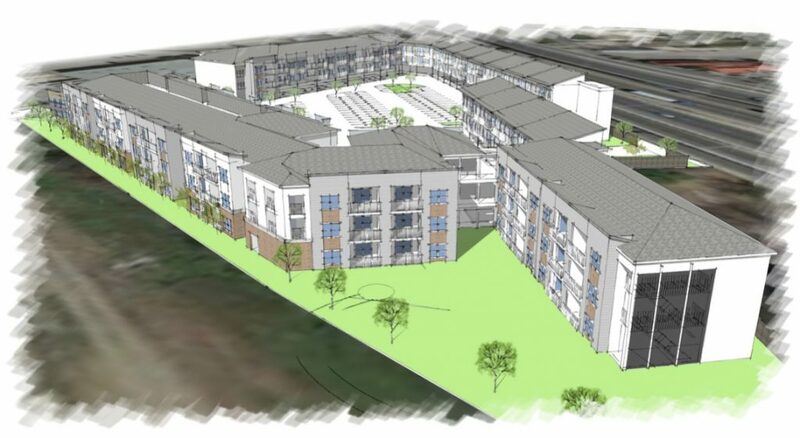 Alcott said the SAHA-210 Development Group partnership is considering pricing half the units—or 100—at 80 percent of the area median income, which is $53,400 in the greater San Antonio area, according to the latest figures provided by the U.S. Department of Housing and Urban Development. The other 100 units would be rented as market-rate. Last week, the Zoning Commission approved a land-use change for the property at 200 Tampico St. from an industrial designation to one that allows for multifamily construction, despite concerns from some West Side residents. The City Council must ultimately approve the rezoning. According to Irma Hoffman, a member of the Historic Westside Residents Association, some people who live in an isolated community west of the proposed development site aired their concerns about the project to the commission last Tuesday. Their issues had to do with limited access that sometimes occurs because of railroad tracks that bisect the pocket community, which is sandwiched between San Fernando Cemetery No. 1 and I-35/I-10. They’re concerned those issues will only be amplified with 200 new households on the other side of Alazan Creek. The SAHA-210 Development Group partnership met with some West Side community members at the Historic Westside Residents Association’s December meeting. 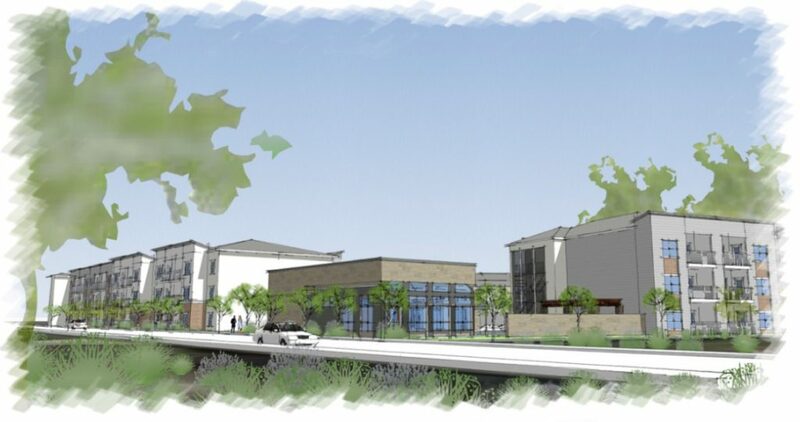 Two years ago, 210 Development Group responded to a request for proposals that SAHA issued for the property at 200 Tampico St., which is located within the Guadalupe Westside Community Plan. Ultimately, 210 Development Group was selected. Alcott said potential funding sources for the Tampico Lofts include Opportunity Zone funding and 4 percent low-income housing tax credits. I see nothing wrong with this proposal. It’s great for both the city of San Antonio as well as the community. It stand a good chance of bringing in revinew on the all over completion as I see it. If you have concerns or doughts. Look at the large value to the community as well as the lower taxes. There are many good assets in this project that I see for the good is San Antonio. Thank you for reading my points of view in this. My biggest issue is that, at least in the rendering included, this project doesn’t seem to have any connections to or awareness of Alazan Creek. I see the property extending impervious cover to the very edge of the hex-shaped Alazan channel, which will make the Creek’s upcoming restoration more difficult. (no room for pedestrian/bike trails, new trees or natural grasses…) And once these upgrades are made, the property appears unprepared to embrace the creek for its residents. SAHA should indeed help catalyze the revitalization of Alazan Creek, instead of turning it’s back. Lastly, I agree that the Westside residents’ access issue needs to be resolved. So I understand what AMI stands for and I understand that the exact breakdown per unit hasn’t been determined as of yet. But let’s say that the number remains half the units at 80% which equals $53,000 and change AMI, what does 80% consist of? Until you “walk” in the Westside resident’s “moccasins” , do not be too hasty to give your self- perceived wise suggestions. The residents of the Tampico area continue to live with YEAR’S of train blockages that hinder their EMS calls and routine trash pick-up. The IH-35 South ramp to Laredo St. causes congestion during high traffic hours- the residents try to find alternate routes which requires 2 to 3 miles more ( and more time to leave in the morning or return home in the evening). When heavy rains fall, the water runs downhill from the train tracks located BEHIND THEIR YARDS and also floods the immediate train track area of Tampico St.
YOU REALLY NEED TO LIVE THERE – AND WHEN YOU ARE A RESIDENT, RETURN TO GIVE US YOUR WISE COMMENTS. 1. The project doesn’t tie or relate to any existing neighborhood that would give good access to public schools and be part of a neighborhood. It sad that we are trying to address the isssue of affordable housing but don’t take into consideration other elements that a neighborhood would location would provide. Maybe there is a need to develop less number of units in a more appropriate area so the inhabits can enjoy the elements that makes life more vibrant. As the former Planning Director for San Antonio(1997-2007), this is a poor example of location of land uses. for your experienced and conscientious assessment of the Tampico area. At the Zoning Hearing of Feb. 5, 2019, after the various concerns of the Tampico residents were presented, the District 5 Zoning Commissioner directly implied that these issues had no bearing on the Tampico Lofts Project. He voted to approve the zoning- the approval was unanimous. Our Historic Westside Resident Association remains appalled.